Investments in early childhood development have increased in many countries over the last decade, and with investment comes an interest in measuring progress. 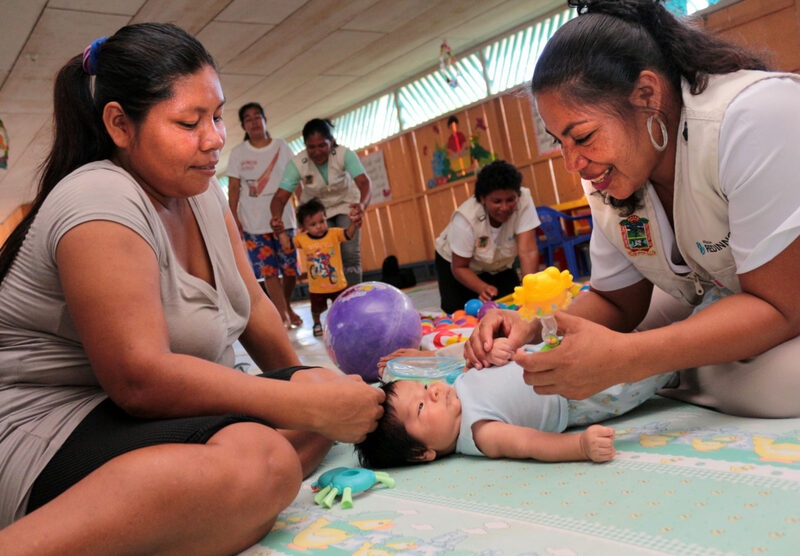 Data on early childhood development – such as quality of services, or estimates of the health and nutrition status of young children – are crucial to inform policy developments and reforms and improve ongoing programmes. Data are also a key element of accountability: as part of the Sustainable Development Goals (SDGs), countries are required to submit annual reports on indicators relevant to early childhood development. However, several elements of early childhood development create challenges in building effective data systems. Because it is best understood in a holistic framework, data systems need to cut across multiple sectors, such as health, nutrition, child and social protection, and education. We need to ensure that relevant early childhood indicators are integrated within sectoral information and data systems, and coordinating between these data systems is critical to build a comprehensive national snapshot of the situation of young children. Even with the best data systems in place, it can be challenging to use data to directly inform policy and practice; the data that are well suited for monitoring at a population level, for example, may not be especially useful at a practice level. With limited funding available for early childhood overall, investments in data must be balanced against investments in other areas, such as professional development and direct support for programmes. Finally, more emphasis has been placed so far on developing tools to collect data than on using those data to make improvements. There is growing demand for population-level data on early childhood development. A range of low-, middle- and high-income countries have initiated population-level measurement through various global, regional and national tools. Global tools, designed to produce internationally comparable data, include the Multiple Indicator Cluster Survey Early Childhood Development Index (MICS ECDI), a household-based assessment relying on caregiver report and the Early Development Instrument (EDI), a teacher survey of individual children’s development; regional tools, designed to produce regionally comparable data, include the East Asia Pacific Child Development Scales; and national tools, used primarily at the national level, include the Measuring Early Learning and Quality Outcomes tools. More and more countries are choosing to collect data on child development, although not all countries are yet doing so routinely. A next step is to build monitoring systems to routinely and comprehensively collect data on multiple aspects of child development. Maximum impact on policy and practice requires a mix of tools. For example, global monitoring data will reveal patterns of equity within and across countries; national-level data may be able to provide a more comprehensive set of indicators specific to national policies. Formative data can be effective at the classroom level, by providing teachers with information on individual children. Clarity on the priorities for data, as well as the purpose and limitations of each type of data, is a key building block for an effective data system. Complementary data are needed, such as on families, caregivers and learning environments. 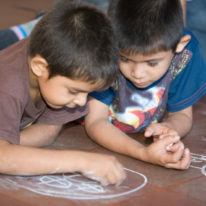 Emphasis is often placed on measuring child outcomes, without explicit connection to the other factors that influence children’s development. Data on children’s outcomes can be more impactful and actionable when coupled with more complete information on children’s experiences, within and outside the home. For example, information on caregivers, including but not limited to parents, is often not available, despite the clear role that caregivers play in supporting young children’s development. Measurement strategies should reflect cultural priorities and practices. Multiple viewpoints need to be engaged on what should be measured and how the data should be utilised. This is especially important when indicators are being considered for regular monitoring within and across sectors. For example, countries can begin the process of improving the strength of their data systems by convening groups of stakeholders to take stock of what data are currently being collected, discuss priorities for additional measurement, and generate recommendations for modifying content of tools as required. "Data systems need to cut across multiple sectors, such as health, nutrition, child and social protection, and education." The SDGs offer an opportunity to build on the momentum and interest in measuring child development to move in the direction of data systems that include a broader and more comprehensive view of early childhood development. Creating a holistic picture of children’s development requires integrated data systems that pull key indicators from a range of sectors. Few countries, including high-income countries, have the type of coordinated and comprehensive systems needed to fully embody this vision. The ECDAN task force proposed a series of actions to support countries in building such systems, including the creation of an ‘early childhood indicator framework’ that can be used as a blueprint for countries considering a coordinated data system. Data quality is a related area of emphasis – while it is critical to collect more data, it is equally important to ensure that the data are of good quality and are representative of the early childhood development service landscape. Many national systems have struggled to keep up with the diversity of service provision over recent years, so national data systems mainly capture information related to public services. Data are rarely disaggregated by residence, income or ethnicity. Household surveys such as MICS can provide a picture of children and families that is richer than administrative data, which provide more detail on service provision but less on the characteristics of children and families who participate. There is a need to develop an integrated information system for children that describes provision, coverage participation, quality and equity in early childhood services. 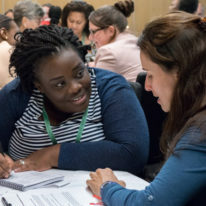 Accurate reporting of equity is achieved by ensuring representation from all groups of children and families, especially for those children and families who are under-represented in many existing household surveys because of geographical or cultural isolation. 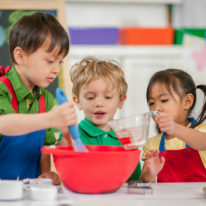 In the USA, the Department of Education and the Department of Health and Human Services (2016) have worked together to support states in implementing early childhood data systems. Key lessons from several years of work to implement integrated data systems include the importance of beginning with standards to guide development of measures; clear data governance policies that will protect the rights of children and families; and ongoing efforts to build capacity as data systems are put into place. 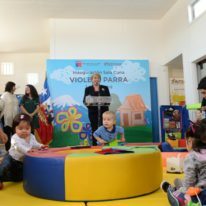 In Peru, the Ministry of Education will soon begin collecting population-level data on early childhood development and the quality of pre-primary learning environments. Pilot data revealed notable gaps between adopted standards for pre-primary environments and actual practice in many classrooms. The data are used to inform teacher training and the creation of an ongoing monitoring tool to track progress towards full implementation of standards. In Azerbaijan, data systems have struggled to keep up with the diversity of provision of early childhood education services over recent years. There are a variety of providers in Azerbaijan – public, private, NGO, and many different kinds of programme configurations such as public kindergartens that reach children aged from birth to 6 years, preschools that reach children aged 3–6 years, full-day and half-day programmes, and short-term school readiness classes. These providers do not all fall under the responsibility of the Ministry of Education, the usual custodian of the Education Management Information System, and thus the national data system mainly captures information related to public kindergartens. The country is taking a close look at the available data and is developing an integrated information system for children that describes provision, coverage, participation, quality and equity in early childhood education. In Tanzania, the Ministry of Education has created locally relevant tools to measure child development and the quality of learning environments, to inform the scale-up of the recently adopted pre-primary curricula standards. Tanzania is also looking at ways to support formative assessment in pre- primary classrooms, and is revisiting its learning assessment system to ensure it is efficient in providing national learning data at the right times. Many countries begin with improving one aspect of the data system, and then build outwards to include more integrated approaches. Azerbaijan, for example, started by exploring how best to improve and coordinate data across early childhood education services under the education sector, but also kept an eye on replicating this process across other sectors. In Peru and Tanzania, efforts do not yet include the creation of holistic data systems; however, the measurement of child outcomes may serve as a starting point for a more comprehensive early childhood data system in the future. The experience in the USA demonstrates both the cost and the time commitment required to build integrated data systems, and also offers important examples of how such systems can be built. As attention turns towards the implementation of effective early childhood programmes and policies, emphasis on data and measurement is required, both to inform implementation and to track progress towards goals. "Even with the best data systems in place, it can be challenging to use data to directly inform policy and practice."